Speaking of Nobels’ core business for beef cattle, there are two categories: fattening and calf production. We have commercialized “Fattening after one birth on Wagyu-cross” successfully, and high technique for large numbers of calf production on Japanese Black and Wagyu-cross has been developed. We actually are essential in our livestock Industry today. A Wagyu-cross mother licking its baby cattle which is Japanese Black. This “Licking” circulates blood flow and gives higher immune system to a child. Since the founding of our company: Nobels Group, we’ve been executing “Fattening after one birth on Wagyu-cross.” We fertilize Japanese black’s egg and transfer that embryo into female Wagyu-cross. It breeds and gives a birth. After, this mother cattle goes through fattening for 32 months at least. This is our discovery of delicious “Tokachi Herb-Beef.” We annually sell 3,000 of them in all over Japan. Why do we sell so many? Having one birth is better than no birth or several births in terms of making the meat highly tender. The 32 long-months also makes the meat tender. 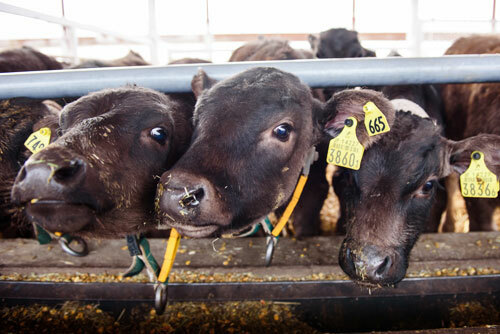 The calves Nobels group produces are mainly two kinds: Japanese Black and Wagyu-cross. 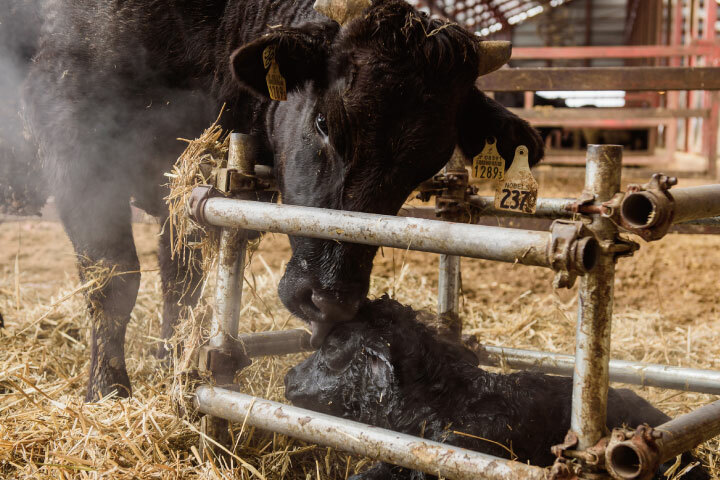 Intense care is needed for just-born baby cattle. Child Raising Farms raise the calf until 9 month old. And then, we sell them to fattening farms all over Japan. We account to send over 14,000 cattle a year. 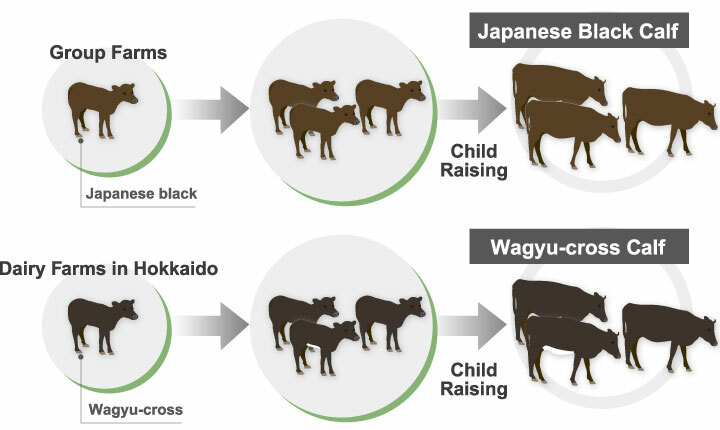 Baby cattle of Japanese Black are supplied from Nobels Group Fattening Farms or Dairy Farms shown in the previous page. On the other hand, Wagyu-cross can be purchased from any dairy farmers in Hokkaido. Artificial insemination of male Japanese Black and female Holstein they own. Copyright © Nobels. All Rights Reserved.